Some retail products require a more specialized solution. A solution that ensures the product looks great and the brand is not obstructed or if the product is commonly stolen, specialty tabs that function as a theft deterrent. Sometimes a specialized solution may solve a problem customers don’t know that they have like our Do-It Seal Tabs. In this post, we will look at three of our products that fall under the specialty hang tab category. Anyone who has worked in retail can tell you that certain products are especially prone to theft. This costs the store and the item’s manufacturer a lot of money. To address this, we developed hang tabs that adhere to your product where they open. These hang tabs help the product stay sealed much better than the traditional plastic wafers. They are made of heavy duty plastic that is tamper resistant. These hang tabs are perfect for someone who is looking for a way to hang their product without covering any of the packaging up. It takes a lot of time and effort to come up with a packaging concept, so it makes sense that there should be a way to attach a hang tab without sticking it on the package. These hang tabs adhere to the inside of the product’s packaging and come through a slit on the top. Everyone knows how important customer satisfaction is for any product or business. 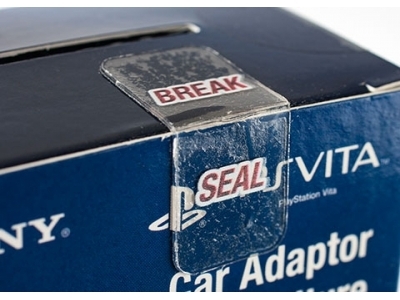 To add convenience to your product for your customers, you can attach Do-It Seal Tabs. These tabs reseal your package after it’s been opened. They work great on cookies, chips, and other products that are best when they’re fresh. At Do-It Corporation, we have been a leading provider of retail display solutions since 1973. Since that time we have added a lot of hand tabs and other items. We are always listening to our customers and trying to find ways to solve their problems. Contact us today with any questions, we look forward to hearing from you!